George Kouvaros surveys Frank’s films and videos and places them in the larger context of experimentation in American art and literature since World War II. By examining Frank’s films and videos, including Pull My Daisy, Me and My Brother, and Cocksucker Blues, in the framework of his more widely recognized photographic achievements, Kouvaros develops a model of cross-media history in which photography, film, and video are complicit in the search for fresh forms of visual expression. 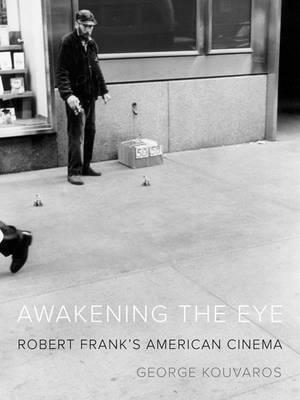 Awakening the Eye is an insightful, compelling, and, at times, moving account of Frank’s determination to forge a personal connection between the circumstances of his life and the media in which he works.